Claude was born in 1931 in Basel, Switzerland to George and Esther De Forest. Immigrating to Canada in 1949, the De Forest family landed in Montreal before settling in Winnipeg in the early fifties. Claude's natural drawing abilities and long family line of architects led him to pursue a BArch from the University of Manitoba in 1955 followed by a Masters in Architecture from the Massachusetts Institute of Technology. Upon graduation, Claude was hired as a junior designer with the prestigious Eero Saarinen and Associates office outside of Detroit. In 1958, he took an architectural pilgrimage through Asia and it was during this trip that he met his future wife Yoshiko in Kyoto, Japan. They were married in 1960 and returned to Winnipeg where he had begun teaching in the Faculty of Architecture at the University of Manitoba under the Deanship of John A. Russell. He became a Registered Architect, with the Manitoba Association of Architects, in 1962. 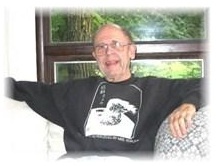 In 1994, he retired as Full Professor in the Department of Environmental Studies. Known for his energetic and imaginative teaching style, Claude was also prescient in his teachings of alternative energy sources and ecological awareness. A committed activist and believer in social justice, he was dedicated to disability issues and socially responsible design and was a leading force in the establishment of the Universal Design Institute at the University of Manitoba. Claude taught Environmental Studies at the inner city based Winnipeg Education Centre and served as Executive Director for the Canadian Institute for Barrier Free Design. He was also Chair of the Education Committee for the Canadian Centre on Disability Studies and received the Lifetime Achievement Winnipeg Accessibility Award for community leadership in Universal Design from the City of Winnipeg in 2007. Claude's connection to Japan led him to organize the Shimizu-Manitoba Architect Exchange Fellowship which hosted Japanese architects for 18 years and sent young Canadian architects to Japan. He also spent two sabbaticals studying and living in Kyoto with Yoshiko where they enjoyed seeing the many sites and visiting with family and friends.